Ah, spring. You can smell it in the air, can’t you? Maybe it seemed like it would never arrive, but spring is here and it’s time to celebrate it by taking a nice break in central NY. The water on the Finger Lakes has melted and they are now glistening and flowing again. The nearby towns and cities have dusted off the last vestiges of winter and are emerging out of winter mode. Everything in this area is in full bloom. The freshness of it all is enough to lift your spirits and make you feel like bursting into song. Before you start singing, take a few moments to check out the latest openings for Skaneateles vacation rentals. If you are wondering what makes Skaneateles rentals so much better than other local accommodations, well, that’s an easy question to answer. Skaneateles is an absolutely beautiful location to live in for a few days or longer. The air around here is crisp, clean and springtime fresh. The greenery is returning to the trees, bushes and grass. Flowers are sprouting. Birds are busy chirping and building nests. The lake is so lovely to gaze at this time of year. If you’re really into natural beauty, there is no better reason to head over our way for a brief respite away from normal daily life. The locals are so friendly and everyone is very welcoming to visitors. Skaneateles is like living in one of those picture perfect postcard towns. You know the ones. The homes and shops are so charming. The town gives you a sense of being someplace that never changes too much. The pace of life here is much slower, and that’s the way local townsfolk like it. If you are unfamiliar with Finger Lakes vacation rentals, visit our online photo gallery and see exactly how much better it is to stay in a homelike environment. You get to stay in a condo or home that feels like you’re just here visiting relatives. Only, those relatives are someplace else (smile). During your stay the entire place is yours to do as you please. Rent a home near beautiful Skaneateles Lake and gaze out the living room window each day at the pristine lake view. Go outside for a stroll along the lake. Head into town and browse the local boutiques. Eat a scrumptious meal at one of our local restaurants. Indulge in a wine tasting tour. Flop on the couch back home at your rental and get immersed in that novel you’ve been meaning to read. There are many ways to let your hair down and relax while staying at one of our cozy luxury rentals in Skaneateles. Check out what’s available right now and book your space. Enjoy springtime like its meant to be enjoyed. If you are like us, you’re glad that the extremely cold and long winter season has finally puttered out? Communities around the Finger Lakes are embracing the warming weather as they sponsor more events. For that reason we offer some more reasons for you to plan a trip to the Finger Lakes region this month. There’s no better way to shake off those winter doldrums than to escape for a while to a scenic upstate New York setting. 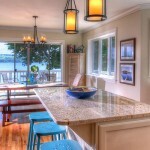 Skaneateles vacation rentals have all of the amenities of home. The ice on the lake has melted and birds are congregating once again. If you are looking for an ideal place to stay while enjoying springtime in this area. Once you have secured your comfortable home away from home after making arrangements with Skaneateles luxury rentals it is time to check out what’s happening. There are plenty of fun activities to do during your stay in the Finger Lakes area in April. Every wine has its own unique story. Discover the stories behind 150 years of exquisite Finger Lakes wine during this special wine tasting series. You will learn a whole lot about the cultivation and development of the area’s most famous wines. Learn how these wines differ from wines from around the world. Our Finger Lakes vacation rentals are just a short drive from Ithaca where Triphammer Wines & Spirits is celebrating 75 years in business with a special store wide wine tasting. It is absolutely free to taste these wonderful wines on display. Food is being provided by Ithaca Coffee Company. Be among the first 100 customers to arrive to have a chance to win a $100 gift card. The Phantom of the Opera is one of the most acclaimed shows to ever hit the theater stage. Come and see this fabulous United Kingdom version of the Andrew Lloyd Webber play. It is winning rave reviews around the world. Rochester is the show’s first stop on its U.S. tour schedule. This is a must see for fans. Center Ithaca is the place to be for this lively evening spring fashion show. See a unique variety of fashions for women and men from area boutiques. The show is free to attend. All attendees are eligible for coupons and special promotions. Refreshments will be served. Spring has finally arrived, which means it’s time to book your spot at one of our amazingly cozy Skaneateles vacation rentals.